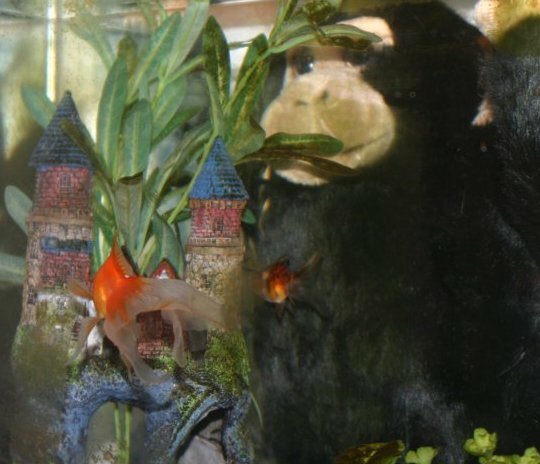 I came home and found that damn monkey IN MY GOLDFISH TANK!!! My poor fish were terrified! There's water ALL OVER THE PLACE!!! !